Worcestershire and Northamptonshire meet for the second time in seven days in the Natwest T20 Blast on Friday night, with the Rapids seeking revenue at New Road following a comprehensive defeat by the Steelbacks. The sides went into the clash at Wantage Road both unbeaten, but Northants emerged with their 100% record in tact as an all-round bowling display limited Worcester to 144-6, a total that the hosts knocked off with more than three overs to spare in a seven wicket victory. Northants are the only county left unbeaten in the blast this season, but the week has not been kind on David Ripley’s squad with Olly Stone’s season ending knee ligament injury, sustained celebrating the dismissal of Moeen Ali against the Rapids. If that wasn’t bad enough, Richard Levi and Rory Kleinveldt were both injured in Monday’s Trent Bridge runfest, despite Kleinveldt’s 63 ball 128 whilst using a runner, and the Steelbacks suffered a further blow with the news that Seekkuge Prasanna has been called up to the Sri Lankan ODI squad. A key part of their run to the final last year was that only 13 players were used, excluded two who only played a single game each, and the South African pair especially leave a huge hole in the side. 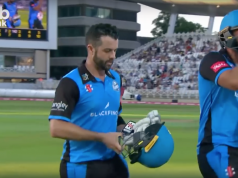 Before a disappointing showing last week, the Rapids had got off to a flyer, winning their first three games, and they will be keen to show that defeat was just a blip and get back on track with a victory. 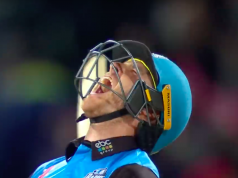 Darryl Mitchell’s men have reached the quarter finals in each of the last three years without being able to make the final step to finals day, but their mix of young hitting and canny bowlers, this could be their year. Brett D’Oliveira perhaps sums up the Worcestershire line-up, not a trademark T20 name domestically but the all-rounder knows his role in the team and has played it to perfection so far this year, with 153 runs, including one half century, as well as decent contributions with the ball. In the absence of big hitters Levi and Kleinveldt, Northants will be looking to their second overseas star Seekkuge Prasanna to step up to the plate, the all-rounder possibly set to move up to the top of the order, and has already shown his six hitting ability in the short stay, whilst his leg spin has proved economical so far. Worcestershire will be without Moeen Ali from the side that played at Wantage Road, Ali currently playing in the third test against Sri Lanka, whilst overseas bowler Matt Henry is also a doubt, having picked up a slight knock last week. Olly Stone is out for the season for Northants, whilst Richard Levi and Rory Kleinveldt will miss the trip to Worcester. Rob Newton or Rob Keogh will replace Levi, whilst seamers Ben Sanderson, Richard Gleeson and Moin Ashraf are competing for two bowling places, former Yorkshire man Ashraf included in a Steelbacks’ squad for the first time. Northants squad: Adam Rossington, Seekkuage Prasanna, Josh Cobb, Ben Duckett, Steven Crook, Alex Wakely, Rob Keogh, Graeme White, Richard Gleeson, Muhammed Azharullah, Ben Sanderson, Rob Newton, Moin Ashraf. The weather is set to take a turn for the worse on Friday evening in Worcester with showers and light rain forecast from 5pm onwards, and with a cloudy evening the light could be an issue at one of only two county grounds to not have floodlights.